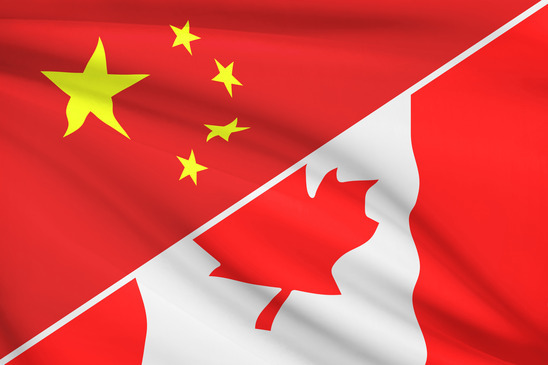 Federal Government On China Charm Offensive - Canada Immigration and Visa Information. Canadian Immigration Services and Free Online Evaluation. Canada wants to open visa centres across China to make it easier for students, workers and tourists to apply to come here. The Liberal government is on a charm offensive in the Asian country, aiming to get more Chinese students in Canadian universities, more tech talent in Canadian firms and more investment in the economy. Prime Minister Justin Trudeau will visit at the end of August, while Immigration Minister John McCallum is already there, paving the way for a deal on new visa offices. McCallum wants quick approval to open centres in Chengdu, Nanjing, Wuhan, Jinan and Shenyang by 2017, and five more after that. He also wants more flights between the two countries. More centres are vital as, in 2018, new biometric checks mean visitors need to apply in person. McCallum wants to double the numbers of Chinese students and tourists coming to Canada. International student numbers as of 2015 already have China way out in front, at nearly 120,000. As part of changes due in the fall, the Liberals plan to give as many as possible the right to stay after they graduate. Currently China, although in the top five, is beaten by citizens of the Philippines and India on numbers of new permanent residents in the first quarter of 2016. Syrians top the list following the drive to welcome refugees since the Liberals came to power. Canada’s attempts to woo Chinese people will not succeed without concessions. China wants talks on free-trade and an extradition treaty between the two countries. Many Chinese citizens accused of corruption are currently in Canada. Both seem unlikely, especially the extradition treaty as China still has the death penalty. McCallum says the countries could work together to send back some suspected criminals. China also wants Canada to join the Asian Infrastructure Investment Bank. McCallum addressed the issue of rich Chinese immigrants being blamed for the inflated housing markets in Vancouver and Toronto. While say there was a connection, he added it was one of many factors and that other areas of Canada were desperate for more foreign students.